The University of Oregon has become the newest member of HathiTrust, a partnership of major academic and research libraries collaborating in an extraordinary initiative to preserve and provide access to the published record in digital form. Congregating the digital collections of libraries throughout the United States and beyond, this digital library contains almost 15 million volumes. Of these works, 5.7 million are in the public domain and made freely available on the Web. Launched in 2008, HathiTrust serves a dual role. First, as a trusted repository it guarantees the long-term preservation of the materials it holds, providing the expert curation and consistent access long associated with research libraries. Second, as a service for partners and a public good, HathiTrust offers persistent access to the digital collections. This includes complete viewing, downloading, and searching access to all volumes in the public domain; volumes under copyright can also be accessed for searching. Additionally, users can gather subsets of the digital library into “collections” that can be searched and browsed. HathiTrust also includes special tools and features which facilitate access by persons with print disabilities. HathiTrust has a growing membership currently comprised of more than 120 partners. As the newest member, the UO Libraries will contribute through our ongoing efforts to preserve print library materials via a digital archive and to provide access to additional materials in digital formats which will enhance digital scholarship. University of Oregon faculty, staff, and students benefit from our membership: logging in from a member institution provides additional functionality, including the ability to download entire volumes and build shareable collections. 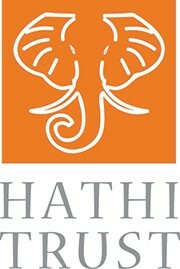 HathiTrust was named for the Hindi word for elephant, hathi, symbolic of the qualities of memory, wisdom, and strength. The name also evokes the huge scope of the project. Partner libraries fund HathiTrust, which is governed by a Board of Governors.